The Plan will build on and enhance the Haight-Ashbury’s unique identity as a diverse residential neighborhood, a thriving commercial corridor, and an international tourist destination. The Haight Ashbury Public Realm Plan is complete! Thank you for participating in this project. On this page, you can download and read the final plan, in addition to browsing all of the related project materials. Read the Final Public Realm Plan here. The Haight-Ashbury Public Realm Plan will develop a community-supported vision for the neighborhood’s streets, sidewalks, and public places. Based on this vision, the Plan will propose a series of projects and initiatives that can be built over time. New streetscape designs, parking and circulation plan, and a plan for pedestrian amenities like lighting and signage will make the streets more safe, comfortable, and efficient for all users, whether they walk, bicycle, use transit, or drive, and will promote the streets as a place for vibrant street life and activity. The Haight Ashbury Public Realm Plan will identify both short-term interventions and a long-term vision for the neighborhood. In coordination with MTA's ongoing Muni Forward effort, this project will develop a final design that includes transit and streetscape improvements. The Plan will cover the area bounded by Oak, Center, Frederick, and Stanyan Streets, and the Muni stop at Cole and Carl Streets. View a map of the area here. 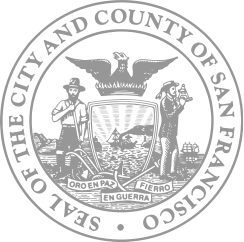 The impetus for the Plan was a proposal by the Haight Ashbury Merchants Association (HAMA), which began the conversation about future improvements to Haight Street and the surrounding area. View HAMA’s original document here. The goal of this working group was to get feedback on concepts for mid block sidewalk extensions and corner sidewalk extensions. The goal of this working group was to introduce design elements at transit bulbs and get feedback on concepts for the Haight Ashbury intersection. 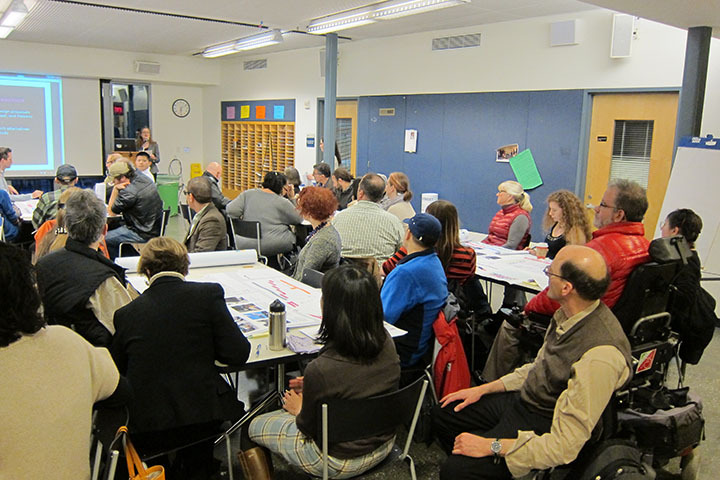 This open house, held at the Park Branch Library, focused on Haight Street. The goal of the meeting was to help define priorities for specific streetscape amenities, ranging from better lighting to more greenery to additional sidewalk space. This public workshop, held at the Urban School on Page Street, was hosted jointly by the Planning Department and the Municipal Transportation Agency. 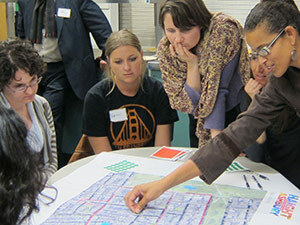 Meeting attendees provided feedback on preliminary design alternatives for Haight, Masonic, and Stanyan Streets. 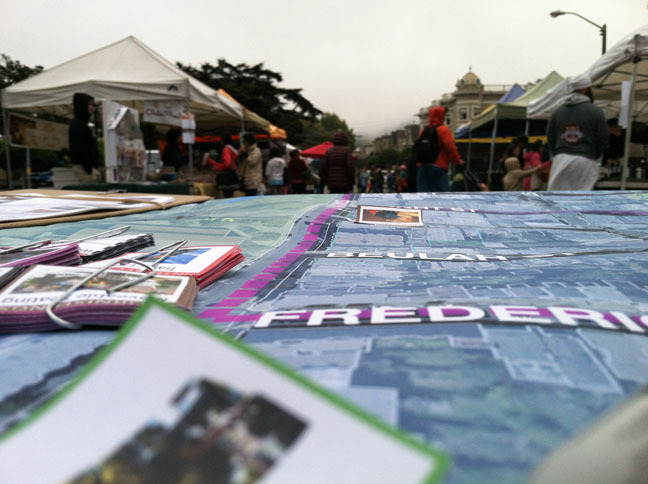 On October 23, the Planning Department set up a booth at the Upper Haight Farmers' Market. Despite the cold, we had some good conversations with market shoppers about the streets and sidewalks in their neighborhood. The input from this and other events this fall will be used to develop design alternatives for key streets. 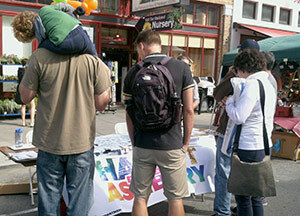 The Planning Department and the SFMTA attended the annual Cole Valley Fair on September 29. We had a great time speaking to folks about improvements that they'd like to see in the neighborhood. The input from this and other events this fall will be used to develop design alternatives for key streets. The first public meeting was held on October 24 at the New Urban School. The meeting was attended by over 75 residents and workers, who shared what they love about their neighborhood and what could be improved.